It also provides country rankings that allow for effective comparisons across and within regions and income groups. The rankings are designed to create global awareness of the challenges posed by gender gaps, and the opportunities created by reducing them. According to the World Economic Forum’s Global Gender Gap Report 2018, the overall global gender gap will close in 108 years across the 106 countries covered since the first edition of the report. The 2018 edition considered 149 countries on their progress towards gender parity. This means that governments and various organisations across the globe need to step up their efforts to close the gender gap sooner rather than later. Interventions to ensure that more women are placed in leadership positions are widespread throughout the globe as differences in cultural beliefs over women leadership take center stage. The Pew Research Center a nonpartisan American fact tank based in Washington DC, which provides information on social issues, public opinion and demographic trends shaping the world, indicates in its 2018 report on Women and Leadership that it is easier for men than it is for women to get top executive positions in business and to get elected to high political offices. The report also points to women having to do more to prove themselves as a major reason why their gender is underrepresented in higher offices. Southern African Development Community (SADC) protocol on gender and development defines “equality" as the ‘state of being equal in terms of enjoyment of rights, treatment, quantity or value, access to opportunities and outcomes, including resources’. The protocol which was developed in 2009 indicates that States Parties shall endeavor that by 2015, at least 50 per cent of decision-making positions in the public and private sectors are held by women. Chief Executive Officer and Co- founder of Pangeni Mineral Resources Limited, Clare Limbwambwa says mentorship of girls by those who have succeeded in leadership is key in attaining both the United Nations and SADC protocols on gender and development. Ms. Limbwambwa who is an Economist turned Business and Human Resource Management Strategist shares her story and underscores the importance of mentoring the girl child. “ I come from Njonjonjo Village in Mahilo , Kaoma District of western province in Zambia , I started school at Ngimbu Primary School which is now a secondary school and completed my grade 7 at Sikunduko primary School in liuwa , another district in western province . I used to walk long distances on foot from Lukulu Boma. In 1979 I passed to go to Holy Cross Girls Secondary School in Mongu where I did my Form 1 to Form 5. I then went to University of Zambia Great East Road Campus where I graduated in Economics with a minor in Business Administration in 1988”… narrated Ms. Limbwambwa. She notes that it was a struggle to complete her education but through her early years of study, she had aunties and other elderly women to mentor her into becoming what she is today. “The girl child needs to be mentored if she is to become a leader in her community. In the village, we had mentors, aunties, mothers, big sisters and all. The girl child now lacks, and information dissemination is somehow not so good, hence the need for us to step in,” say Ms. Limbwambwa. Ms. Limbwambwa who also holds a master’s degree from Holland’s International Institute for Social Studies said she did not have it easy working in a male dominated space in the early years of her career. She adds that mentorship of the girls should not just be about successes, but also sharing failure and taking deliberate steps to overcome the failure. Ms. Limbwambwa is now part of ‘Girls for Girls’, a global initiative which is on board to change the status quo and seeks to address the inequality in leadership positions across the globe. Girls for Girls Co- Founder Allen Asiimwe says the programme seeks to mentor and encourage girls and young women between 15 and 25 years old to act in their communities to create change and take on leadership positions in Government, business or civil society. “Through Girls for Girls, we are targeting 10 000 mentors and 1 million mentees by 2025 globally. We hope to help young women connect with their purpose, cultivate new skills, build confidence and develop relationships (with each other) that will nurture and strengthen their resolve for years to come,” said Asiimwe. Asiimwe adds that the programme that is currently running in 5 African countries which include Kenya, Uganda, Zimbabwe, Nigeria and Zambia, is structured to provide specifically curated mentorship sessions, access to a network of local and global fraternity of leaders as well as cross-border exchange and insights with people excelling in diverse fields. 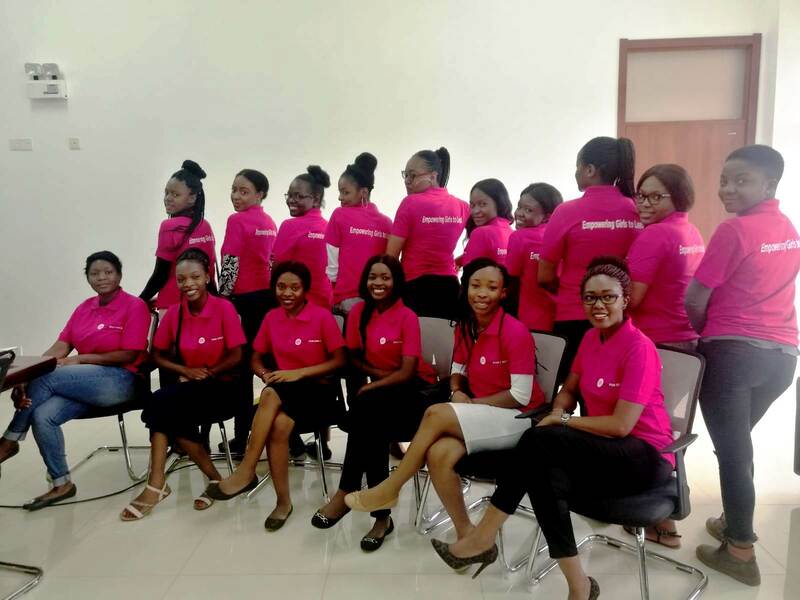 In Zambia, the Girls for Girls project was recently launched in the capital city Lusaka and is targeting female students from the University of Zambia (UNZA), University of Lusaka (UNILUS) and Zambia Center for Accountancy Studies University (ZCAS). Namuchana Musiwa, the Country Coordinator for Zambia says so for the project boasts of having 30 trained mentors with well over 150 men and women interested in mentoring to empower girls to lead. “we have started the six months pilot project with students from the three universities but will soon extend to learners in secondary schools. Already we are in talks with education authorities at Munali Secondary School here in Lusaka, and once the project is at full scale, girls in rural communities will also be captured ‘’, says Musiwa. And officiating at the launch of the Girls for Girls programme in Zambia, Bank of Zambia Deputy Governor-Administration, Dr.Tukiya Kankasa- Mabula said, in the face of cultural and social challenges such as early marriages and teenage pregnancies, mentoring young girls is important if they are to aspire for much more in life. The launch of the girls' mentorship programme in Zambia. Photo: Courtesy. She noted that Zambia is fortunate to have a programme for the advancement of girl child education which is faring well at primary school level with enrollment rate almost at 50 percent. “However, we need to do more with girls in higher educational institutions. The attrition rate for girls is high. I am personally not happy that there is only one woman in the Central Bank of Zambia’s ICT department and yet ICT is the future. It is therefore important that the girl child is pushed forward to embrace spaces that are dominated by men,” said Dr. Kankasa-Mabula. She added that mentorship creates a safe space for young people and that it helps them overcome their fears and other challenges. Dr. Kankasa – Mabula said that almost everyone is a mentor but there are benefits of having skills in mentoring, and this makes the Girls for Girls project unique. Girls for Girls which has its presence in Malaysia, Iceland, Mexico and Uzbekistan encourages mentors to have the power to help young women by listening to them, encouraging and inspiring the mentees through their own stories and experiences. The mentors are experienced, respected members of society who are committed to empowering girls through mentorship circles drawing on well tested leadership principles and values. Editor's Note: The author is a Zambian Journalist who is also a member of the Grace Machel Trust Women in Media Network. She is also one of the Girls for Girls trained mentors in her country.